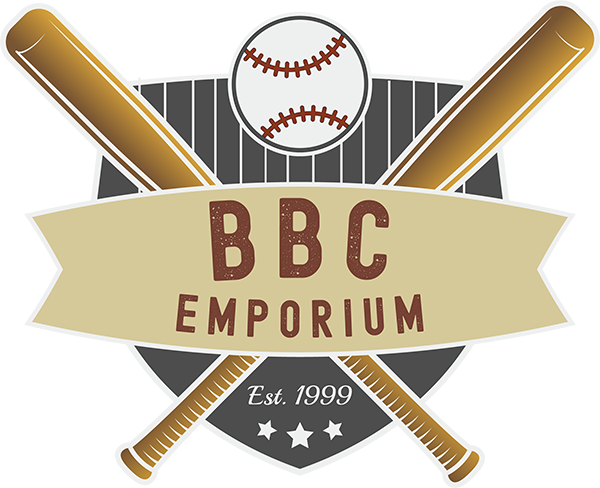 In the baseball card industry, scams, counterfeits and rip-off artists have always existed. From the early 80s, when counterfeit 1963 Pete Rose rookies flooded the market to more modern sophisticated methods, counterfeiters are always looking for a way to make a dollar. Only the most knowledgeable collectors and dealers, who were familiar with the intricacies of the cards, such as printing techniques and card stock properties, were able to comfortably buy higher dollar cards without the threat of being cheated. The common collector was a prime candidate to be taken advantage of. With no simple method of detecting these counterfeits and most collectors not knowing who to trust, many believed this epidemic could single handily ruin the baseball card market. However, in 1991, the “savior” of the industry arrived, Professional Sports Authenticator (PSA). 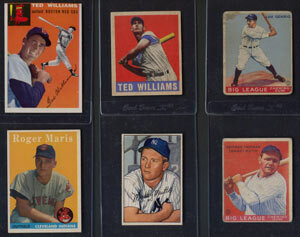 PSA offered a service to both grade and authenticate baseball cards. Any cards sent to PSA would be graded and stored in a tamper proof case, thus ensuring the safe buying and selling of that card in the future. Even a beginning collector could buy a PSA graded card with the utmost confidence. Even today, the vast majority of baseball card collectors will rarely question the authenticity of card that resides within a “PSA” case. Unfortunately, it didn’t take long for the scam artists to figure out how to get their piece of pie in the graded card market. The most widely known and successful scam originated in California and is referred to amongst collectors as the “California Craigslist PSA scam”. Below, I’ll outline the specific scam and what measures need to be taken to avoid this specific scam and scams of a similar nature. 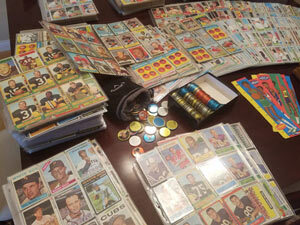 The scam, which originated in California, involved selling high dollar counterfeit cards in legitimate PSA holders. First, the scam artists buy several low dollar PSA graded cards. Next, they “crack” the cards out by separating the PSA holders at the seam. Even though PSA claims to have a “tamper evident” holder, it is quite easy to open the holder without damaging it. Once the holder is opened, the “flip” (label) and card are removed and replaced with a counterfeit card and flip. Finally, using a clear adhesive, the holder is resealed and ready to be sold. All of the fake flips utilize legitimate cert numbers, so if the cards are looked up in PSA database, they will match the card in the holder, but realize these numbers can be easily obtained and have no meaning on determining whether the card is authentic or not. Obviously, having the card in hand is the best and easiest way to determine if the holder and card have been compromised, however typically nowadays when cards are bought, a picture or scan of the cards is all collectors have to go off of. The three components that need to be scrutinized are the holder, the flip, and the card. To detect if a holder has been opened or tampered with, the easiest way is to analyze the edges of the holder. PSA designed the edges of the holders to “frost” when opened. Frequently, only the top portion of the case will be cracked open so the flip and card can be removed without having to crack open the entire holder. Notice in the picture below showing a Hank Aaron RC that the upper half of the holder is frosted. The flips that are used in this scam are homemade, so they utilize a different font, character alignment, and spacing than authentic flips. However, the differences in these areas are often so minute, it can be very difficult to determine authenticity solely based on these attributes. The cert numbers on the flip are actual cert numbers and can be matched up with PSA’s database, however these numbers can easily be found and have no bearing on authenticity. The easiest way to check flip authenticity is by looking at the bar code. With authentic PSA cards, the bar code should be unique to each card and never duplicated on any other card. However, each card from this scam shares the same bar code (ex. every 1954 Topps Hank Aaron card will have different cert numbers but the same bar code). Lastly, the cards used in the scam are typically very good counterfeits and can be difficult to detect through a picture or scan. However, some of them are easy to spot as can be seen with the Hank Aaron below. 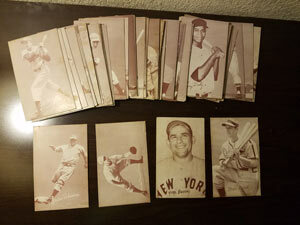 Bottom line is be careful where you buy the cards and always do a thorough inspection once you have the cards in hand. Here are some examples of cards that have come from this particular scam. The first scan was actually sent to me by one the scam artists in California. What can be seen is several of the cards in different stages of production. It is difficult to tell if the cards shown are counterfeits or authentic cards used to create counterfeits. The following 3 Mantle cards were all confirmed to be fake by Joe Orlando, President of PSA. The tipoff was the incorrect font and font alignment on the flips of the cards. I would love to update this article with great news that Craigslist scam has been shut down and justice served to the parties involved, however, unfortunately this is not the case. 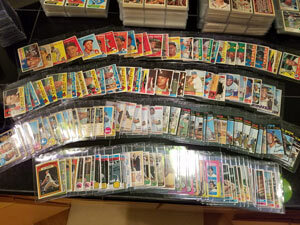 However, the landscape and the specifics of the fraud has changed, so I wanted to update the article to help educate fellow collectors so they can avoid being a victim. Unfortunately, most of the changes have been for the worse. The crooks have improved their craft and the counterfeit cards have become more difficult to detect. While in the past, only a handful of high profile cards were targeted, now the list has greatly expanded to where any card of significant value must be scrutinized carefully. Also, while in the past, the counterfeit cards were sold on less controlled and reputable sites like Craigslist, now the cards are frequently popping up on eBay and even in high profile auction houses. Originally, the easiest way to spot the counterfeit cards was by the flip font and alignment, but now the flips are nearly identical to an authentic flip. So let’s look at some examples of the counterfeit holders and what you can look for. It is important to note in all of these examples, authentic cards are being used. The fraudsters are taking authentic cards that may be a grade or two lower or altered. Also, it is important to note that the certification number and bar code are identical for the cards. If you check the certification number of the counterfeit card on the PSA website, it will register as an authentic card. In this example, the card used in the fake example was probably cracked from a PSA 9 or PSA Authentic case and replaced. Another possibility is instead of replacing the card, the holder could have been cracked open on the top and simply switched the flips. You can see the two cards are different if you look at the vertical perforation between the Erving and Johnson panels. On the fake example, the perforation is centered, while on the real example, the perforation is closer to the Erving panel. Note the flip fonts on both examples are nearly identical. It is difficult to see, but the security “nubs” below the flip in the fake example have been popped, causing them to cloud up. You will see this more clearly in other example below. Here is another example. The biggest giveaway in this example are the two round security “nubs”, located directly below the flip. Note on the authentic example, the two nubs show no sign of deformation or clouding, while on the counterfeit example, the nubs show clouding. Here is another clear example where the right security nub has clearly been compromised. You can see the two cards are different if you look at the small print dot under the word “Giants” in the authentic example, while the counterfeit example does not have this. Here is an example of a comprised holder and flip that has the new PSA flip with the security hologram. At the first glance, it appears to be the same card that was reholdered to the new PSA holder, however when you analyze the back of the cards, you can see the centering of the two cards is clearly different. Both of these cards were sold through major auction houses. The example on the right was sold through Mile High in May of 2015, while the example on the left was sold through SCP in April of 2016. To the credit of SCP, they pulled their example before bidding actually started due to concerns of authenticity. In both example, there are no tell-tale sign of tampering on the holders themselves. However, if you compare the flip font between the two cards, you will see a difference, specifically in the “P’s” and “R’s”. When compared to other cards, you will see the font is incorrect on the left example. Another method to inspect flips is by shining a strong light through it. Here is an example of 1977 Topps Chip Lang flip that was modified for a counterfeit 1981 Topps Joe Montana RC PSA 10. 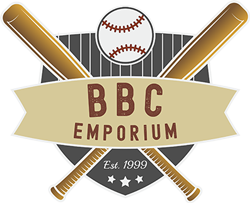 Buy from a reputable source – 99% of the horror stories that I hear all have a common theme… someone was trying to get a deal buying from a less than reputable source. Unless you are an expert on authenticating cards, don’t chase the deal on high profile cards, stick with a reputable dealer. Check VCP for scanned images of prior sales to compare against the example for sale. Closely examine the scan. Look for frosting around the edges, compromised “nubs”, incorrect flip font. As a collector, I know the joy the hobby brings to me, and nothing can ruin it quicker than getting ripped off for a large sum of money. 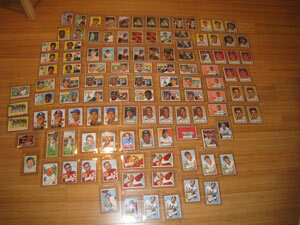 Do your homework and as Joe Orlando, president of PSA always likes to say “never get cheated.” Happy collecting!